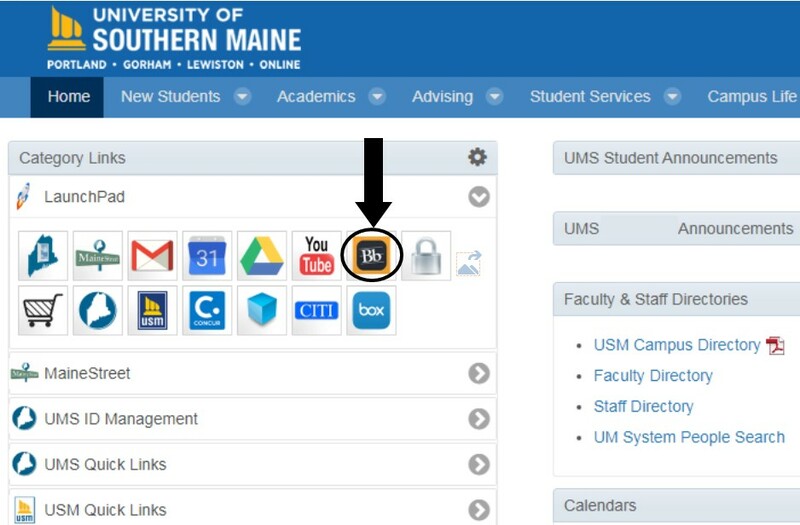 This page explains the steps necessary for you to log into Blackboard, USM’s Online Course Management System, and start your required New Student Course. 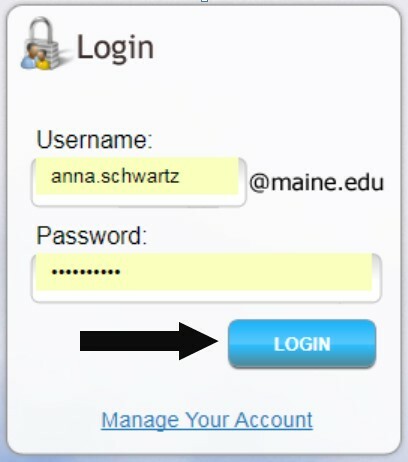 You will be notified when you are granted access to this course in your Maine.edu email account at least 1 business day after your Enrollment Deposit is processed, please check that email account frequently. Note for Students Starting Fall 2018: the New Student Course will be available on April 2, 2018. We strongly encourage you to complete the Online Orientation course on a laptop or desktop computer, as you may have difficulty navigating on a smartphone. 2) Enter your UMS username and password. 4) Click on the Blackboard Icon. Once in your my USM Portal, find and click on the Blackboard Icon. It is found on the left-hand side of the screen, within your “Launchpad”. 5) Click on New Student Course. Once in Blackboard, find the section called “My Courses” and click on the course with the term that you are admitted in, for example, “New Student Course (Summer 2018)” or "New Student Course (Fall 2018)." 6) Watch the Course Navigation Video. Once in the course, click on the “Course Navigation” image to start watching a short video. Click “Start Here” in the menu on the left-hand side and begin!